Can Junior Cup Bring New Riders? MARKET UPDATE: RUVs Rocking! ATVs Rolling! Retrograde Motion: What is Old is New Again! Track Days: Preaching To The Choir? 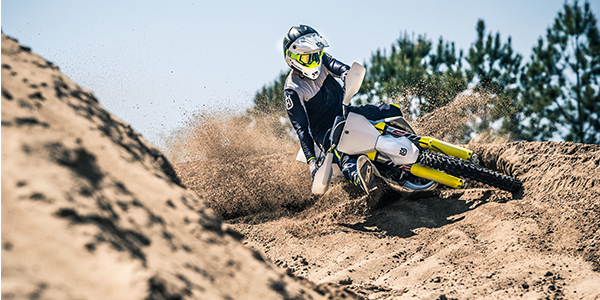 According to the latest stats from MIC, the off-road segment is hot, which leads us to believe there are plenty of opportunities for dealers willing to play in the dirt. If you split the market between on-road and off-road, they are roughly equal, give or take a few points. MIC’s latest report from Q3 2018 states the on-road segment that includes scooters would be just slightly more than half, with the rest for dual sport (ADV), off-road motorcycle and ATV. But the numbers do not include UTV sales, which we believe to be larger than street motorcycle sales. With such a large percentage of the market being off-road related, you can’t afford to let off the gas early. In addition to a rise in new unit sales of off-road machines, the off-road market brings in customers looking to purchase the latest parts, garments and accessories (PG&A). For dealerships that are not involved in the off-road segment, experts recommend walking before you run. One benefit that off-road can offer is that the entire family can be included, and it’s often a life-bonding experience for them. Families are basing vacations around where to ride just as they would a ski trip. Competition bike sales are up 6.9 percent, and the off-highway segment is up 4.6 percent, according to the MIC. The largest jump has been in the 125cc-250cc range with a 17 percent jump over 2017. This suggests that a lot of amateur riders are doing well enough to continue upgrading their equipment. The OEMs are going crazy over sport/rec UTVs and dual-sport bikes, which also suggests that the market is strong in these sub-categories. The dual-sport segment is up 11.3 percent. The aftermarket also knows that off-road is hot and new products are continually being added. OEMs and the aftermarket alike are courting the dual-sport/adventure customer because their demographics are very lucrative, meaning they spend money. Dealerships can take advantage of the opportunity by catering to specific off-road groups. Organize an adventure tour in your area for the ADV crowd. Be sure you’re well-stocked with PG&A to cover them. If you’re not established as an “off-road” center, one thing you can do is hire someone either in parts or sales who has a background in the market. Whether it’s a local racer, club member or local expert, hiring someone with specific knowledge of the market can be the most significant factor in helping you sell to the segment. Used vehicle and P&A sales have continued to be an essential component of total revenue for most powersports dealers. With average customer spending between $300 and$1,000 on gear, depending on whether they buy new or used, there’s a lot of room for dealers to make additional sales. If you’re looking to become more involved, you should talk to your parts reps to find out ways to increase off-road sales. 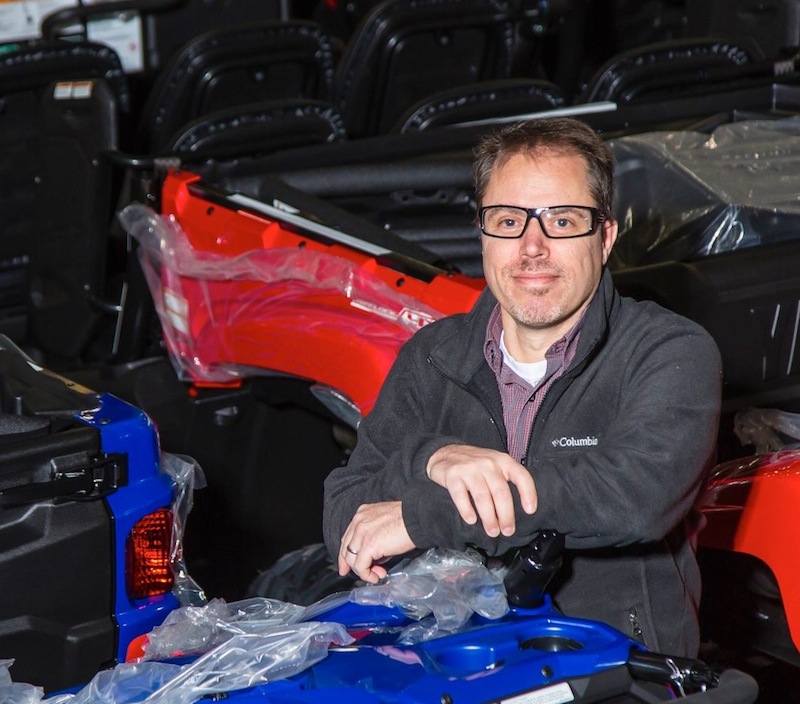 Speaking of parts, we recently sat down with the CEO of Western Power Sports (WPS), Craig Shoemaker, for his take on the market and the double-digit growth of the distributor, much of which can be attributed to the rise of the off-road market. When asked what he thought 2019 would bring, Shoemaker said they have a good indication already since they are a few months into their fiscal year. He said they had a great year in ‘18, and they are continuing to grow by double-digits, but it hasn’t been easy. Shoemaker said it has been years in the making. The management team at WPS has been planning for 2019-2020 for three years. California is one of the key markets for WPS since it’s the biggest in powersports. “It’s a key location as a warehouse. It’s a competitive market, and we have to be there,” Shoemaker said. A few of their other warehouses may produce more volume, he pointed out, but they can service their southwest customers overnight from the California location. Shoemaker also commented on their involvement with Supercross this season and beyond. One thing Shoemaker noted that echoed what others in the off-road segment have said is that they want to show their customers they play in the same sandbox and have the same passion for the sport. Ultimately, most of us are dedicated to this industry because we love the sport. The off-road market is full of passionate customers who want to shop at like-minded stores such as yours.